Has anyone tried to transfer their domain using my godaddy.com tutorial lately? Well if you have you'll notice that godaddy has done some changin'. Parts one and three of my transferring a domain tutorial remain the same. But part two needs some updating. 1. 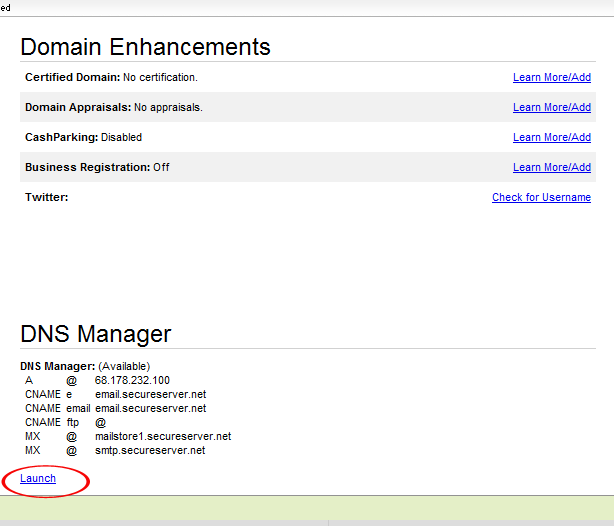 Log into your account and click "view in domain manager"
2. Next click the domain name you'd like to work with. 3. Under DNS Manager click "launch"
5. Then you are ready to add your A NAMES. Delete the existing A NAME by clicking the red circle with the X in it.. I forgot to take a screen shot.. but you get the drift, right? If not, email me. Okay now click "Add Record"
6. 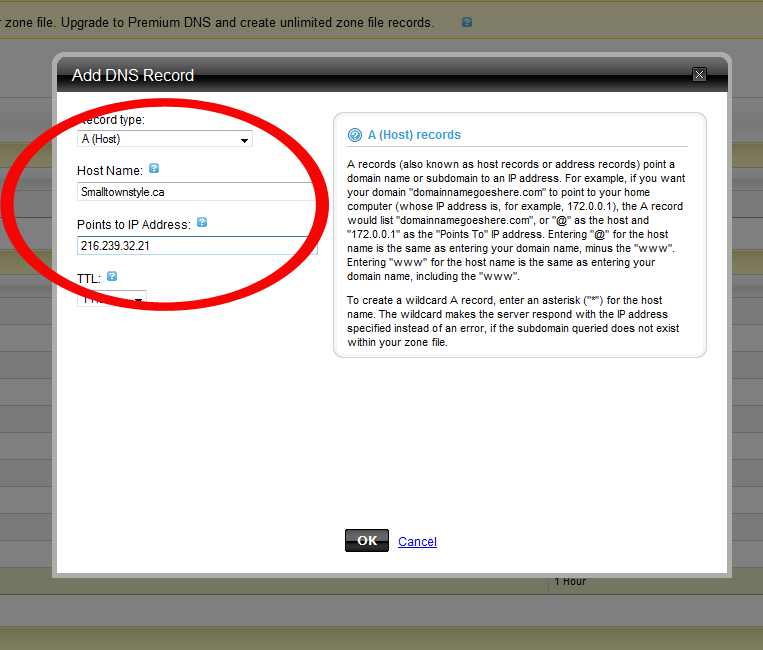 In the box that pops up, click on the drop down menu under "record type" and click "A (Host)"
Then add your new URL WITHOUT the www in the host name box. And add the first of FOUR IP numbers. Click OK. I repeat: There are a total of four IP numbers. You will need to repeat step 6 for each of the four IP numbers!! once you have all four IP numbers added, click "Save Zone File"
8. Now you are done with the revised part two of the tutorial! Continue on with part three and you'll see your new URL in your browser. Please feel free to email me with any questions you may have about this. It seems scary but its not. You can totally do it!!! P.S. I've had clients email me saying that when they search for their URL without the www in front, it doesn't redirect them to their new domain. 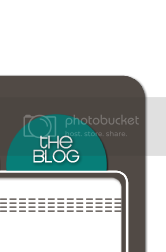 Be sure that in your Blogger settings you click the "redirect" box and save. That will redirect your naked URL. Oh and P.S.S. Big thanks to Carolyn at the newly designed Small Town Style blog for letting me use her blog as the example here. THANKS GIRL!!! hmmmmm.....I'm gonna have to re read this when I'm more alert...it sounds so foreign to me right now..
Do we need to do anything if our domain was transfered before GoDaddy changed things? @Valerie -- Nope, no need to do anything. Goaddy changed the process a bit, but everything works the same.